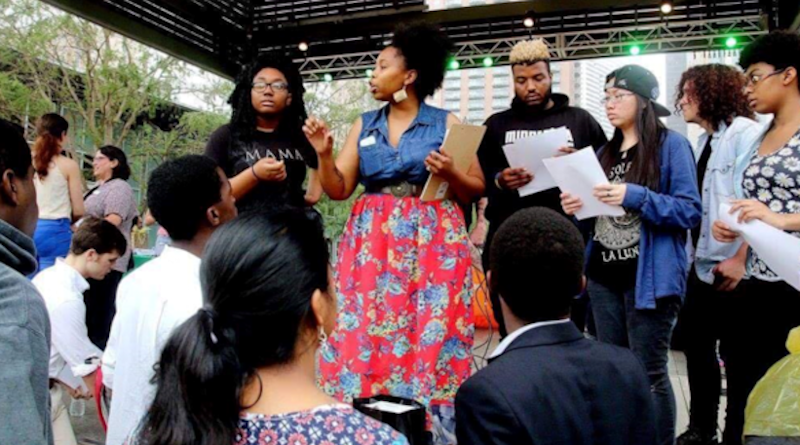 Become Houston's Fourth Poet Laureate! Mayor Sylvester Turner and Houston Public Library Director Dr. Rhea Brown Lawson announce that the City of Houston is seeking its next poet laureate. The Poet Laureate Program celebrates Houston’s rich culture and diversity through the work of a Houston poet who serves as the City’s ambassador for the literary arts during a two-year appointment. The poet laureate makes several guest appearances during the term and completes a feature project. The poet laureate will receive an honorarium of $20,000 through the City Initiative Grant Program of the City of Houston and will serve from April 2019 through April 2021. Previous poets laureate were Gwendolyn Zepeda, Dr. Robin Davidson and Deborah “D.E.E.P.” Mouton. The deadline to apply is midnight on Wednesday, Feb. 13, 2019. Submissions are welcome from poets, authors, writers and spoken word artists. Mayor Turner has appointed the Houston Poet Laureate Selection Committee, a diverse group of poets, scholars and literary experts to assist in the selection process. The group includes: Jose Aranda Jr. of Rice University, Rachel Dickson of Ensemble Theatre, Deborah “D.E.E.P.” Mouton, Ed Nawotka of Publishers Weekly, Daniel Pena of University of Houston Downtown, artist/poet John Pluecker, and Grace Rodriguez of Impact Hub. Non-voting members include: Radu Barbuceanu of the Mayor’s Office of Cultural Affairs and Carmen Abrego of the Houston Public Library. The Selection Committee will interview finalists in person in March and the mayor will select the poet laureate, who will be announced in April 2019 in celebration of National Poetry Month. The role of the Houston poet laureate is to stimulate poetic impulse, foster appreciation of poetry in all its forms, and serve Houston residents and visitors with expressions of culture through words. The program is coordinated by the Houston Public Library and the Mayor’s Office of Cultural Affairs. The Poet Laureate Program is funded through the Hotel Occupancy Tax that is dedicated to the arts as part of the city’s cultural priorities guided by the Mayor’s Office of Cultural Affairs (MOCA). For further information visit the Houston Public Library at www.houstonlibrary.org or on Twitter @houstonlibrary or call 832.393.1313. For further information about the City’s Cultural Programs go to www.houstontx.gov/culturalaffairs or follow the Mayor’s Office of Cultural Affairs on Facebook or Instagram @HoustonMOCA.